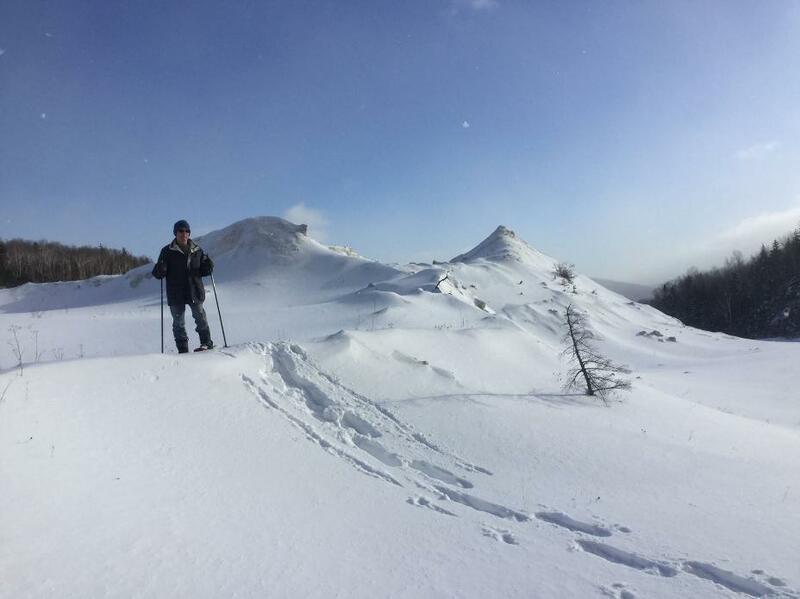 This winter why not come and enjoy what mother nature gives to us in amazing amounts...Snow and lots of fun. 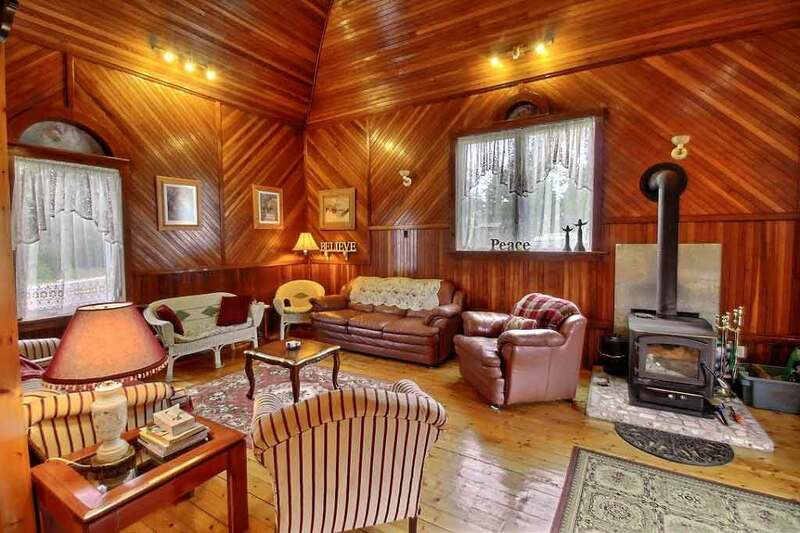 The perfect winter weekend getaway. 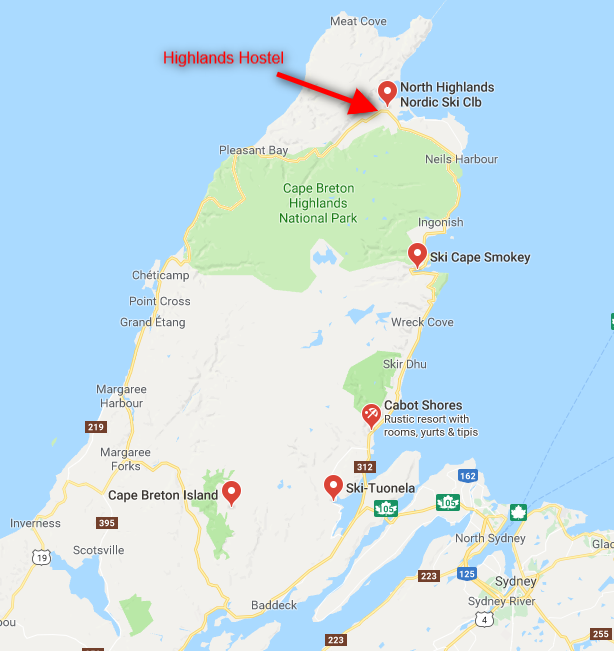 Come ski Cape Smokey only a 55 minute drive from our hostel or go cross country skiing, snow shoeing at the North highlands Nordic Ski trail only 15 minute hike from our hostel. 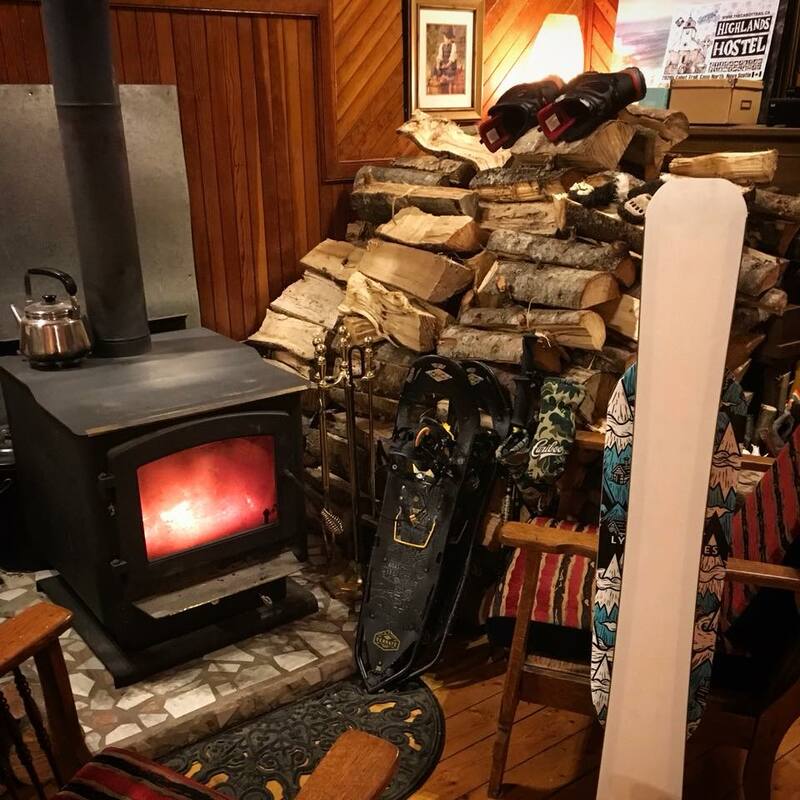 After a days skiing and having the best fun of your life,come back to the Highlands Hostel and snuggle up to our warm fire,enjoy a hot chocolate and dream about the next days fun. 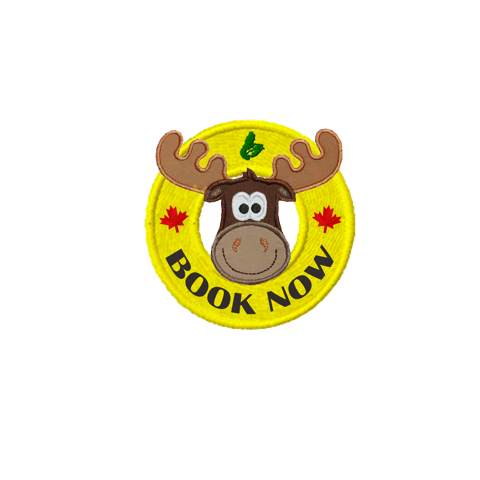 Enjoy some music, play some board games, good company, and plan your next days adventures. 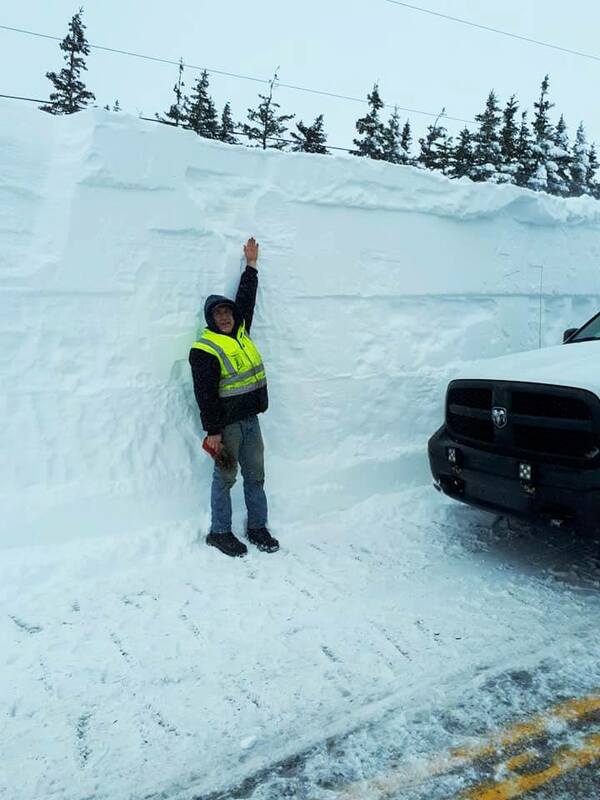 Born & Raised Cape Breton Fiddler Shawn W MacKinnon stopped for a couple jigs at the Highlands Hostel on a stormy island Saturday night!!! Thanks Shawn!!! 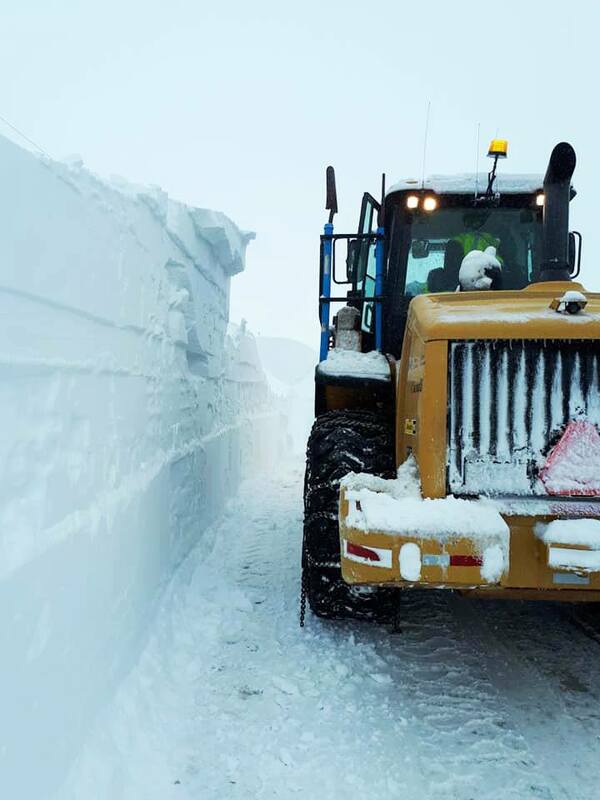 COME VISIT!!! 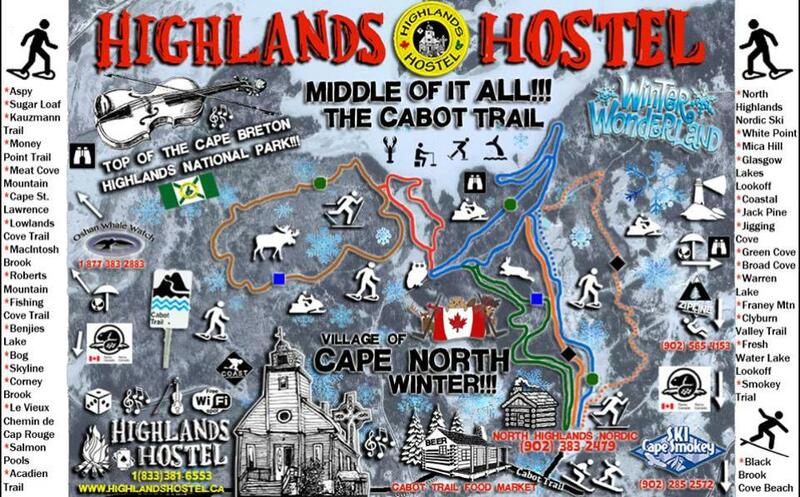 Were are next door to the North Highlands Nordic trails, your fun begins at our back yard. 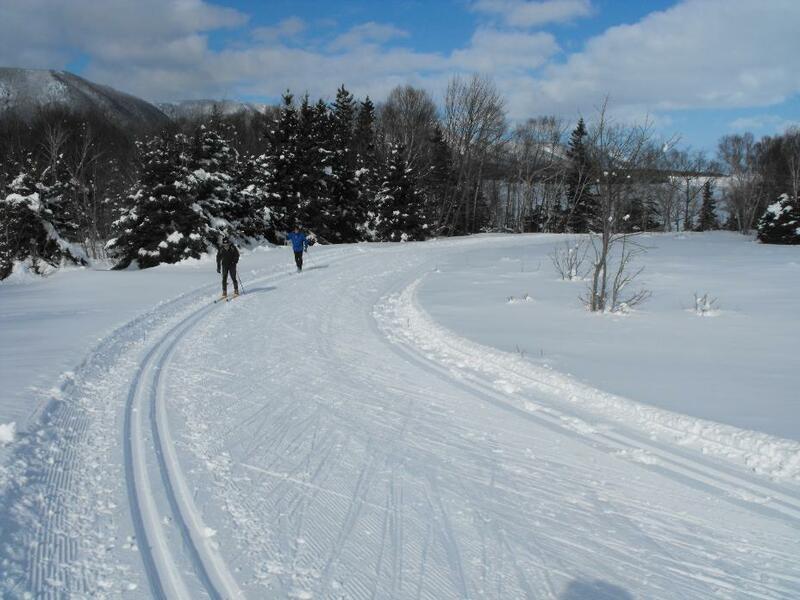 The North Highlands Nordic club has 11 km of groomed trails, they have snowshoes and cross country skis available for you to use should you need them. 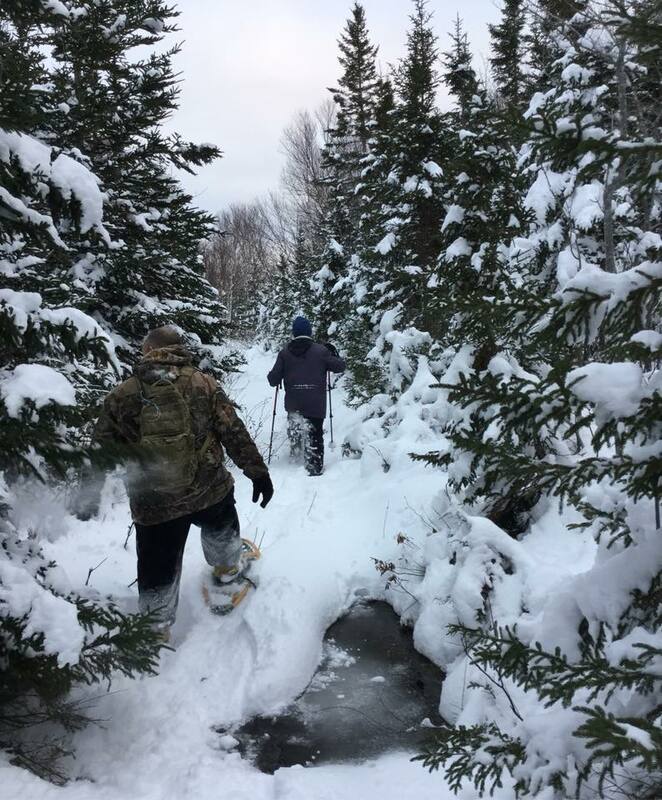 Should you want to go ice fishing then, hike down to the North Harbour and catch your dinner. 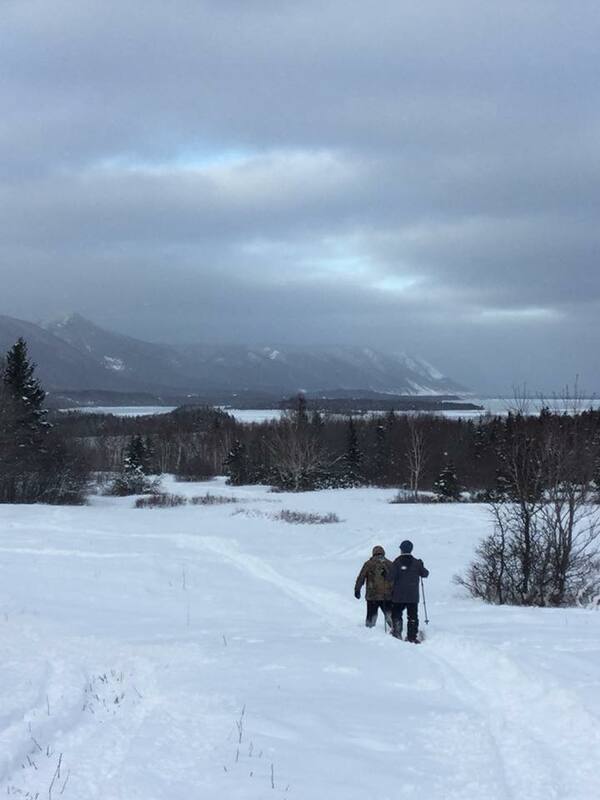 After an enjoyable time at the Nordic trails, hike back to the Church for a roaring fire and hot apple cider to warm you up. 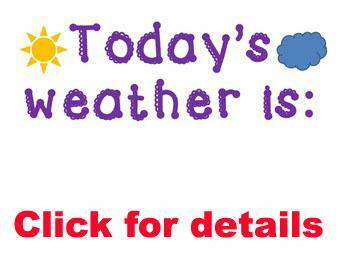 This is a magical time of the year for us here in Cape North, people ask us what is there to do there in the winter?. Spend a weekend with us and we can fill your phone with spots to see and maybe, just maybe you will have time to see them all, if not you know where we are for your next visit. 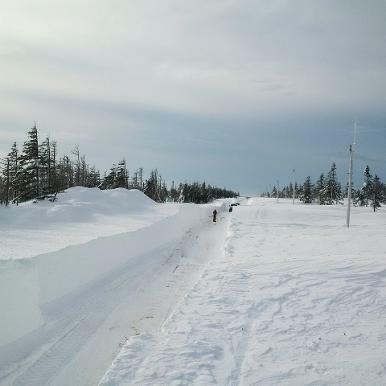 Make sure you and your vehicle are prepared for our winter wonderland weather. 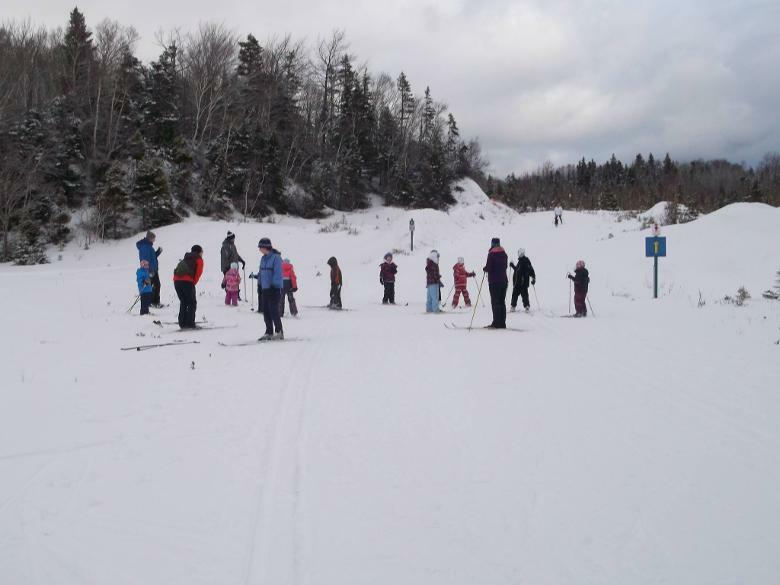 North Highlands Nordic in Cape North has the finest cross country ski trails in the province. 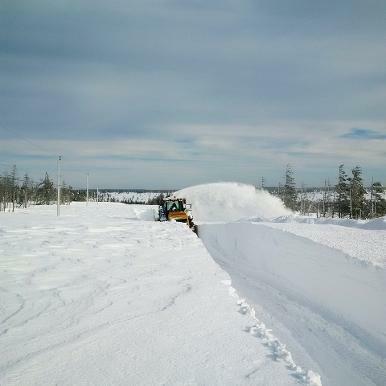 There are 11 km of groomed and track set trails. 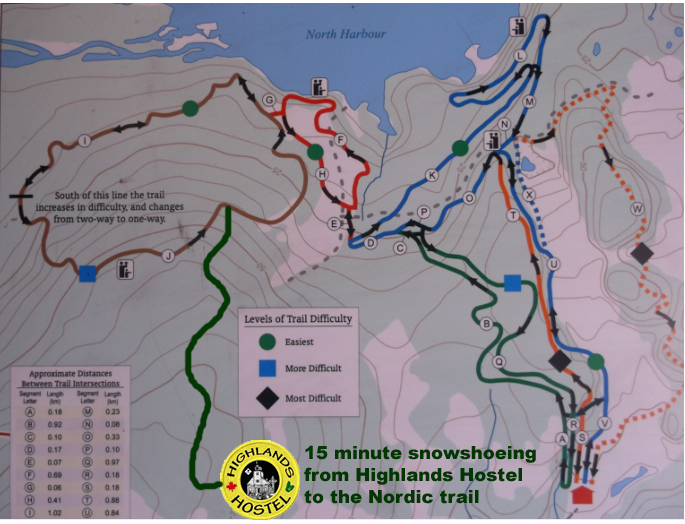 Our Highlands Hostel is only 15 minutes hike, (2 minutes drive) snowshoeing through the bush from our back door to the start of 11 km of groomed trails, or if you feel up to it go off trail for some real exercise. 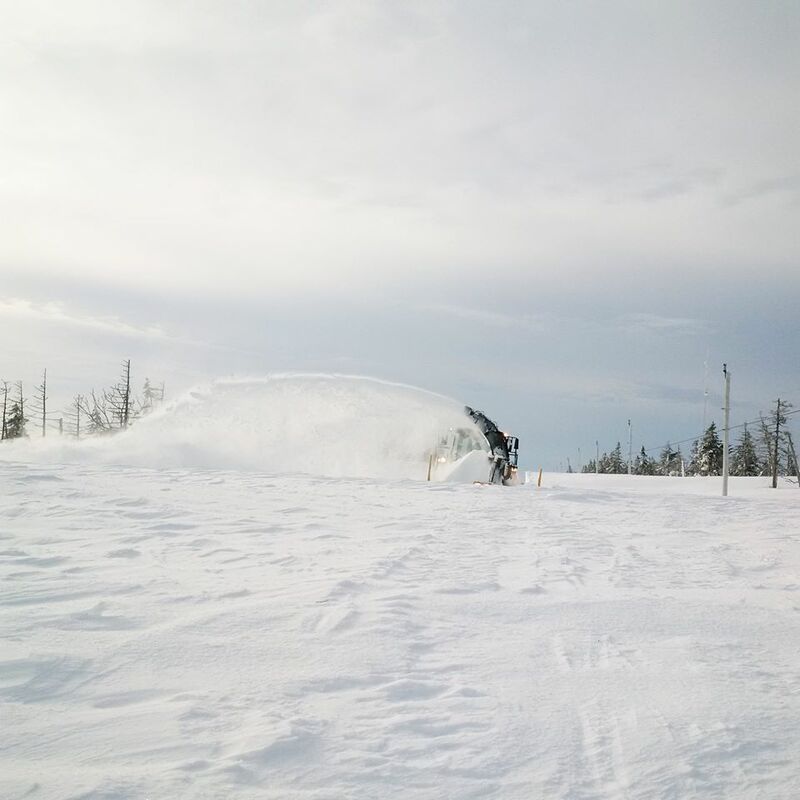 The club is proud to have hosted any number of major national and regional ski races including the 1987 Canada Winter Games, 1989 Canadian Junior Nationals, and the 1986, 1987, 1994 and 1998 Atlantic Championships and numerous Loppets and Provincial Championships.